Healthy growth in Chinese exchanges and US economy, coupled with attractive valuations, buoyed investor sentiment in Indian equity markets propelling a barometer index to gain 139 points on Friday. The positive sentiments propelled the barometer 30-scrip sensitive index (Sensex) of the Bombay Stock Exchange (BSE) to gain the 139 points or 0.53 percent. Positive sentiments were also witnessed at the wider 50-scrip Nifty of the National Stock Exchange (NSE). The CNX Nifty of the NSE rose 46.80 points or 0.59 percent and provisionally closed at 7,995.75 points. The S&P BSE Sensex, which opened at 26,542.84 points, provisionally closed at 26,370.63 points (3.30 p.m.) -- up 139.44 points or 0.53 percent from the previous day's close at 26,231.19 points. 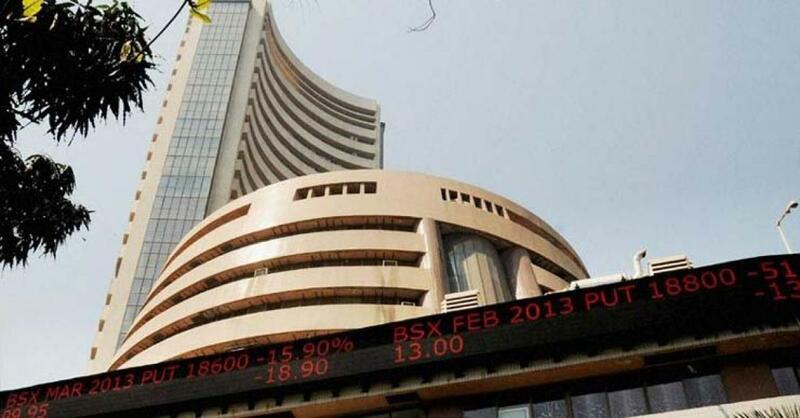 The S&P BSE Sensex touched a high of 26,687.33 points and a low of 26,270.17 points in the intra-day trade.